The downgrading of BP’s credit-rating to BBB – on the very brink of ‘Investment grade’ - takes the hapless firm into Enron territory, which ain’t a good place at all. It increases their cost of debt, which is bad enough: but the problem goes a lot further than that. 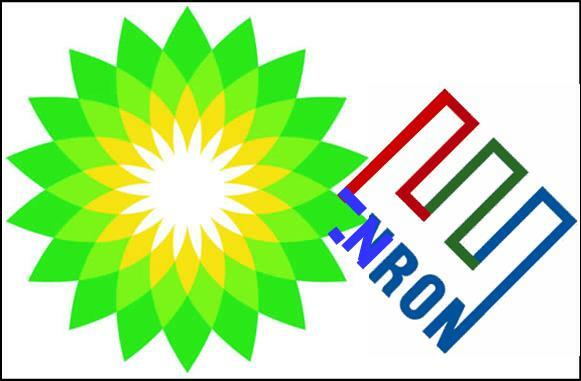 BP’s business model, like that of Enron (though not to the same extent), leans heavily on wholesale energy market transactions – trading and other deals, including derivatives - on a very large scale: far more so than other oil majors. Very many companies have a prudent policy of never dealing in derivatives or other forms of long-term contract (beyond, say, 1 year) with any firm that is below Investment grade – for the simple reason that they want to be sure the counterparty will be around to stump up in due course, be that to make a payment, or to deliver a cargo of oil or whatever. BP had made forward purchase commitments beyond 1 year ahead of $62 billion at year-end 2009, and held $ 4.9 billion of in-the-money positions on derivatives of more than 1 year maturity - exactly the type of business that can't be done at sub-Investment grade (figures from BP's 2009 AR). If BP is thereby excluded from such lucrative markets, and/or forced to post a great deal more collateral (and this may have started already), it is in ever deeper doodoo. Enron was famously ‘asset-lite’, but it still managed to retain Investment grade until near the end. Its tortuous efforts to maintain this precarious position, which finished it off eventually, were 100% driven by the need to keep doing those profitable long-term and derivative deals. Obviously BP is an asset-rich company: but it has been brought to the brink of the very same precipice. As a pro-hydrocarbons man then Nick, are you worried that this might act as a catalyst in terms of carbon taxes, carbon trading, green subsidies, central planning on energy etc? If it does fall, then will the collective shareholders of BP take Obama to court over his behaviour? Is there a case upon which they can do this? BP may be in trouble, but there may be a case for limiting the powers of a US president from making extrajudicial threats. Richard - yes, making up random liabilities for wide-ranging consequential losses is a deeply disturbing development - does the rule of law not prevail in the USA ? I may blog on this, too ! Obama seems to be flying in the face of the US Constitution, which anticipated a shyster and popinjay could one day be President. It's crystal clear that no private property can be seized for public use without due process. Obama seems to be happy to use market-changing rants, meanwhile his Democrat Senator buddies are shorting using insider knowledge. And the SEC does nothing! As for Carbon trading, give me strength. AGW is a dead duck, only the politicians haven't caught up with it yet. Joe Public in the USA will have a revolution before he pays tax on thin air. We're all going to be using oil for a long time to come and as soon as the spill is stopped, Hayward is sacked, and the BP/Transocean/Halliburton lawyers tie it all up in court for 20 years, BP will still be there. Obama won't be though - Middle America hates him. ND, I used to be opposed to military force - whoever sane wants war? Then I realised unfortunately that some people do want war, and if you throw away your own defences you get rolled over. Similarly I am, in principle, in favour of the free market, opposed to subsidies, and very against central planning. But sticking to those views come what may is foolish when faced with those who trenchantly believe in none of them. In the end we will be completely dependant upon the Arabs for oil, the Chinese for manufactureds, now Obama for permission to trade in the USA and so on. In fact the result will be the loss of our society that holds freedom of trade so dear. It is like a snake eating its own tail. We must sensibly protect our strategic interests or perish. A Google of "Obama Soros oil" points to what's happening here. Off-shore oil is good, so long as Obama's No.1 paymaster gets his cut. SW - that's the sensible mainstream view. I'm interested in the contrarian view - what if this proves to be a major catalyst for change? 9/11 changed the world as we knew it 2 years into Bush's presidency. Who was payimg any attention to George W on 10/09/01? What assets would you buy if the move from hydrocarbons is about to be accelerated by big government? A mile under the sea and then a mile into the rock. That shows how precarious our fuel supply is - unless the engineers like a challenge. Someone, somewhere must have risk-assessed this type of disaster and the difficulty of capping it. Why did BP continue with the same business model ? this doesn't men we abandon them for a simple life in the woods, it means we maintain them with the requisite efforts ! E-K, my guess is it's 'risk creep'. First oil companies drill deeper and deeper on land; then they drill horizontally as well; then they drill in shallow waters; then they wake up one day and they are "A mile under the sea and then a mile into the rock." The additional complicator is that BP may have seen their role as financier/dealer only, leaving all the real technical stuff to Transocean. If so that is typical of British firms who have given up making/doing technical things and subcontract to others (like the Chinese). This is an illusion. We cannot be solely a 'knowledge' based economy because if we do not make what we design we lose the ability to really understand what is going on. @Steven_L: What assets would you buy if the move from hydrocarbons is about to be accelerated by big government? @E-K: They go there because that's where the oil is; all the easily accessible oil is stitched up by dodgy dictators & theocracies which won't allow foreigners to make money, so in that sense they have no choice. But inside BP they have a shocking lack of a safety culture (largely thanks to Mr Browne) and they don't supervise their subcons properly - largely because they fired too many people who had subsea engineering & drilling skills and decided to outsource. So in the sense of management incompetence they had this coming to them. It is simply My Hayward's ill fortune that he happened to be left standing when the music stopped. That and the fact he is totally useless on television mean he is finished, no matter how good he is as a manager. Why BP didn't use a plausible Yank bullshitter (there are lots of them in my experience) who is good on TV as a front man is mystery to me. It's funny, when you work for a huge company - as I used to until I saw sense and broke out - the closer you get to the top you realise that the senior management, as you originally suspected, mostly really ARE out of touch and convinced by their own bullsh*t. There isn't any secret info that you didn't know about that influences their thinking. The Peter principle is 100% correct IMHO. ND: if the thesis of AGW is garbage, how can the CO2 trading market possibly survive? Sebastian Weetabix said: "they don't supervise their subcons properly - largely because they fired too many people who had subsea engineering & drilling skills and decided to outsource." "It's funny, when you work for a huge company - - the closer you get to the top you realise that the senior management, as you originally suspected, mostly really ARE out of touch and convinced by their own bullsh*t."
Wonderful stuff S-W and right on the nail. Notice The Telegraph joined the kicking BP crowd with a "BP oil spill could cost £100bn" headline - which anyway is 48% inflated over the body story "could hit $100 billion (£67.5 bln)"! Thanks for the responses to my question.